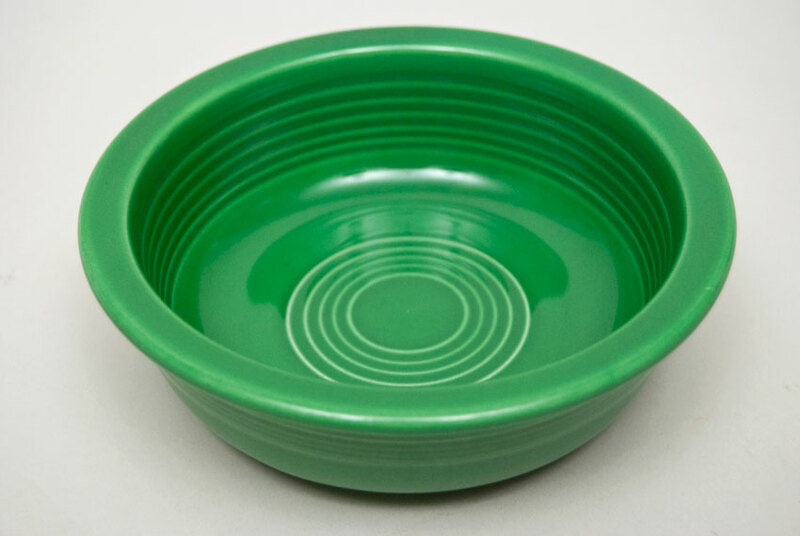 Circa 1960-1969: Fiesta was all the rage during the late 30s and through the 40s, but during the 50s sales began to drop and by 1960 most pieces had been cut from production. 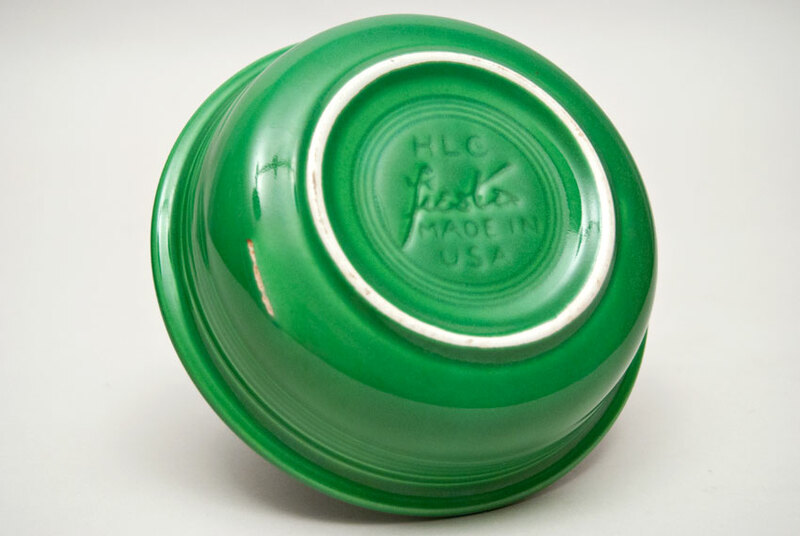 One last attempt was taken to breath life back into the line and the last color for vintage fiestaware was introduced— elusive Medium Green. 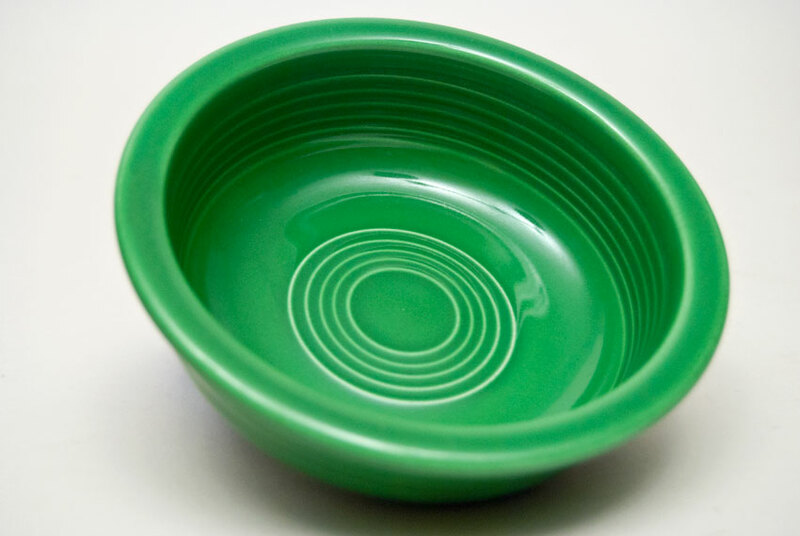 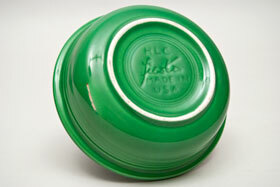 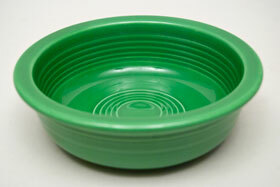 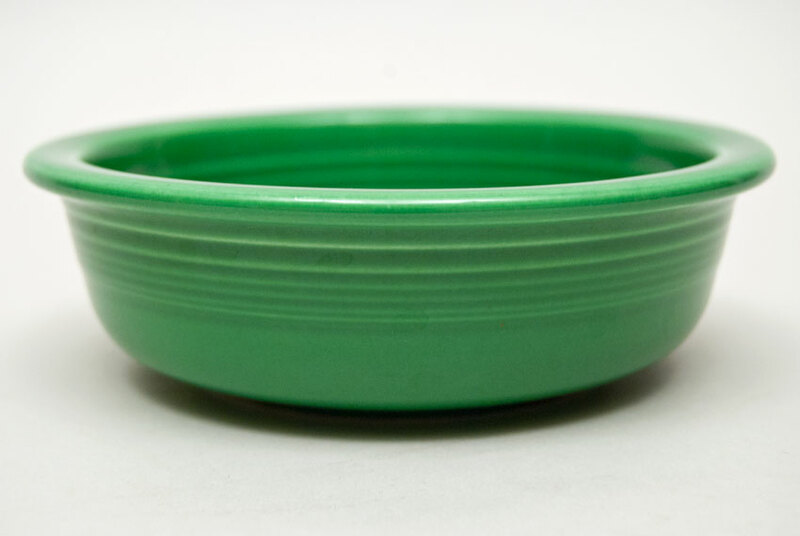 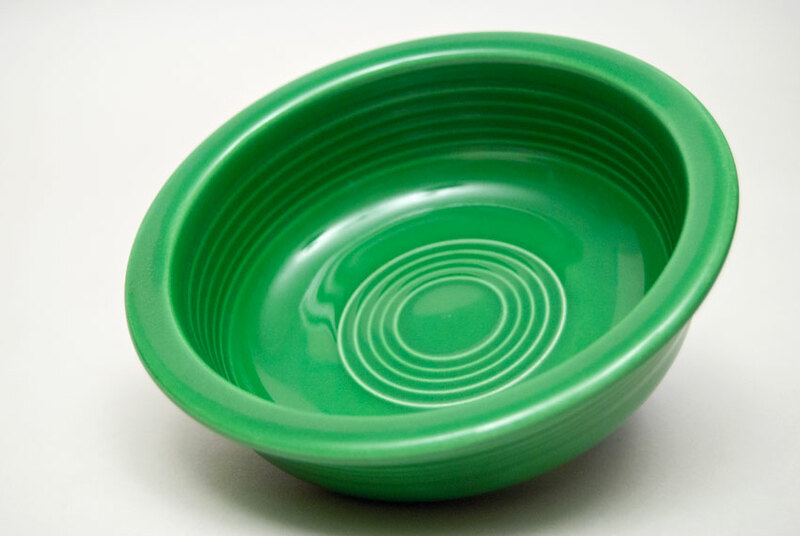 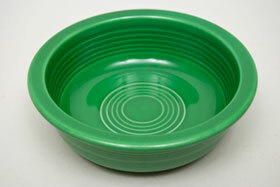 Far fewer pieces of fiestaware were produced during the 60s as the line slowly phased itself out, leaving collectors scrambling to finish off their collections with the last pieces of medium green.